Description: True or False; Living Architecture, Old and New. Includes illustration, caption and text concerning Wright. 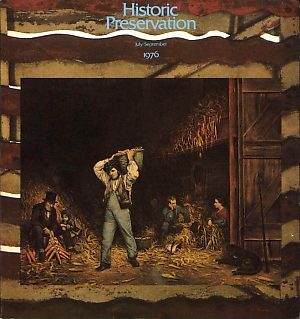 Author: Bullock, Helen Dudpry & Morton, Terry B. Author: Dring, William B. Author: Johannesen, Eric Author: Poppeliers, John; Chambers, S. Allen; Schwartz, Nancy B. Description: Letters: "Though indeed the major changes to the Home and Studio made after 1911 were made by Frank Lloyd Wright, it is quite apparent that the changes were largely the result of expediency and brought the removal of some of the most important and beautiful portions of the buildings..." Dring was the Chairman of the Restoration Committee for the Frank Lloyd Wright Home and Studio Foundation, Oak Park. (Sweeney 2025) Description: Letters: "I enjoyed "Frank Lloyd Wright Home & Studio: Homeward Bound" (HP, July-September, 1976). 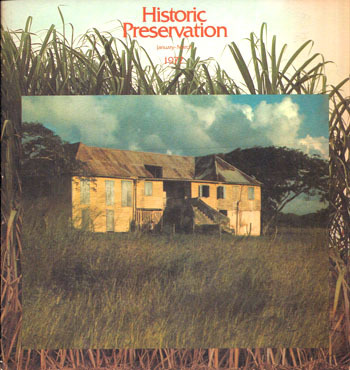 However, please register one vote against generally returning the buildings to their appearance when Wright lived and worked there.� I hasten to add that I am not familiar with the interior of the house, and this is a purely philosophical objection..." Original cover price $1.00. 8.5 x 9 (Sweeney 2028) Description: What Style Is It? Part Four. Five sections: Chicago School; Prairie style; The period house; Art Deco; International Style. Prairie style. The acknowledged leader and spokesman of the movement - and the architect who produced the most noteworthy examples - was Frank Lloyd Wright. A number of young architects, some of whom worked in Wright�s studio, also designed in the Prairie style during its brief but prolific heyday before 1920..." Includes two Wright photographs, Boynton Residence and Robie House. 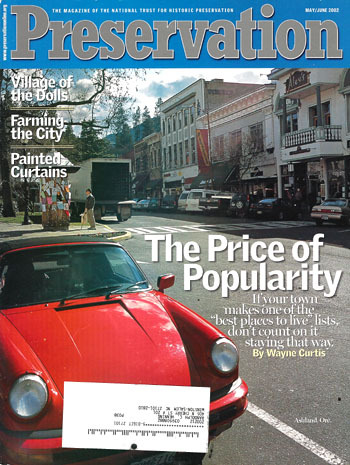 Original cover price $1.00. Description: "Wright House Reopens At Woodlawn Plantation. Loren Pope still feels the same way. Forty-five years ago he commissioned Frank Lloyd Wright to design a small house for his family in East Falls Church, Va... �It does things for a person that are hard to explain. It is like living in a work of art....� The Pope-Leighey house story begins with the passion of Pope, then a young newspaper editor, to own a Wright-designed home. In 1939 he wrote to Wright: �There are certain things a man wants during life, and of life. Material things and things of the spirit. The writer has one fervent wish that includes both. It is for a house created by you.� " Includes one photograph of the Pope-Leighey home. Original cover price $2.50. 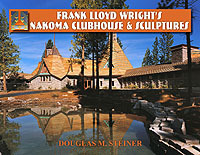 Description: Restoration of the Frank Lloyd Wright Home and Studio. "Wright at Home. Exacting resonation of the Frank Lloyd Wright Home and Studio in Oak Park, Ill., offers a rare glimpse at a troubled genius. How does an artist muster the necessary courage to break with convention? Often slowly, Frank Lloyd Wright, irascible genius of American architecture, literally built up to it..." Restoration of the Frank Lloyd Wright Home and Studio. Five photographs by Jon Miller / Hedrick-Blessing. Original cover price $2.50. Description: "Self-Portrait. Frank Lloyd Wright made the Taliesin Complex in Wisconsin a work in progress. 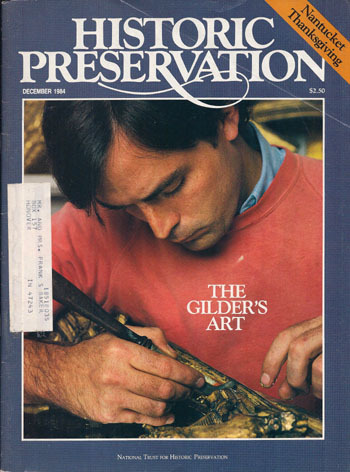 That is one of the challenges of the unique restoration project now being undertaken." Includes 13 photographs. Description: "The Rookery Restoration." Twenty-five years after Wright gave the interior a face-lift, William Drummond, who lacked the sensitivity of either Root or Wright, disfigured the entry lobbies. 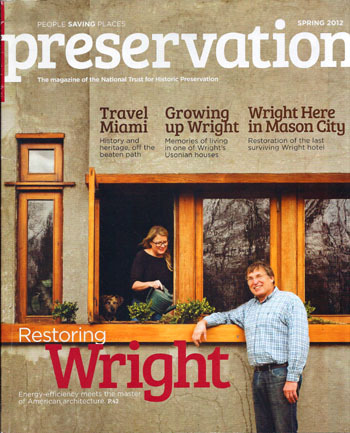 Restoration of Wright�s face-lift. Includes one photograph. Original cover price $4.50. Description: Buehler Residence (1948 - S.309). "Wright Again. A California couple built their dream house in 1949. Half a century later, a fire took them once more down the same path. In January 1938, as the 68-year-old Frank Lloyd Wright was reviving a career wracked by a marital scandal and the Depression, Architectural Forum magazine devoted an issue to his recent designs... In 1947, when they were ready to build, they enclosed photographs of their site long with a letter to the Great Man himself. He responded with one of his one-sentence notes: �I am ready to go to work for you.� " Includes eight photographs and two illustrations. 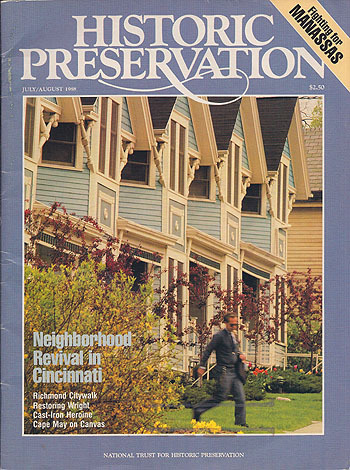 Original cover price $4.50. Description: "The Relationship of Two Maverick Architects. The American architectural icon Frank Lloyd Wright (1867-1959) taught many apprentices who produced valid architecture based upon his organic philosophy. Incredibly, a few creative disciples learned indirectly from afar and not under the personal tutelage of Wright as an apprentice within the Taliesin Fellowship, Wright�s unconventional school of architecture that he founded in 1932. Unquestionably, one of Florida�s most respected and renowned architects, Alfred Browning Parker (1916- ) was one such individual." Includes six photographs. 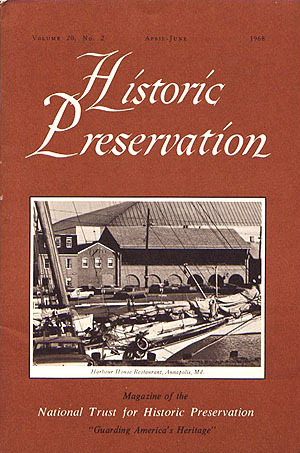 Original cover price $5.00. Gift from Randolph C. Henning. Description: 1) Timeline: "Frank Lloyd Wright and Hotel Design." Includes Como Orchards, Bitter Root Inn, Park Inn Hotel, Lake Geneva Hotel, Imperial Hotel. Includes four photographs. 2) "American masterpieces." 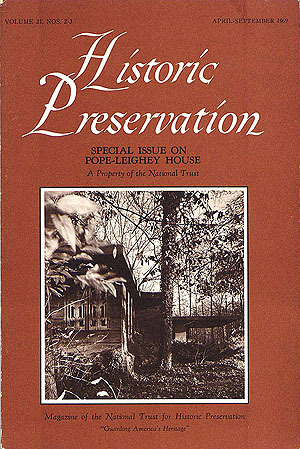 Full page ad includes image of the Pope-Leighey House. 3) "Growing Up Wright. 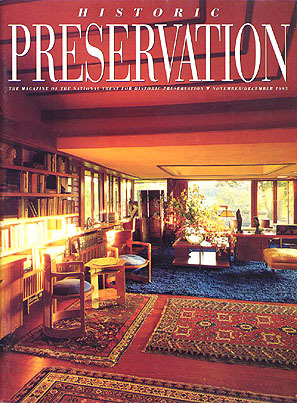 Donna Grant Reilly�s parents built a Frank Lloyd Wright house, mostly with their own hands - one stone at time. In 1945, Doug and Jackie Grant (1946 - S.288) set out to build a house on he wooded lot they�d purchased just outside Cedar Rapids, Iowa... They mailed their letter to Wright... the Grants built one of the finest of the Usonian houses - dwellings Wright conceived for clients of modest means - and lived there for the rest of their lives." Includes seven photographs. 4) Frank Lloyd Wright house open to the public. 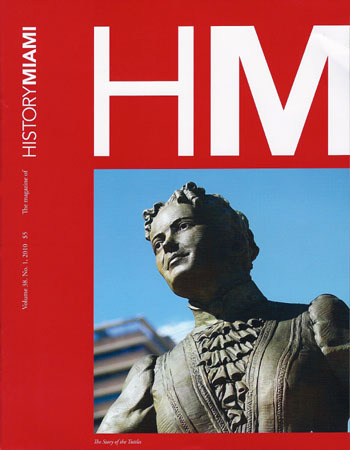 List of 29 homes and buildings, pages 24-27. 5) "Wright Here in Mason City. Everything�s up to date at the last standing Frank Lloyd Wright hotel... The Historic Park Inn - the last standing hotel designed by Frank Lloyd Wright - looks like t has just been built but is in fact a century old... In the early 1900s Mason City was booming. Brick, drain tile, and cement making, as well as meatpacking and farming fueled the local economy." Includes nine photographs by Karen Melvin concerning the Hotel and Bank. City National Bank Building (1909 - S.155), Park Inn Hotel (1909 - S.156) 6) "Prairie School Central. While Wright was in Mason City working on the Park Inn and National City Bank, physician George Stockman and his wife, Eleanor, commissioned a house from him. 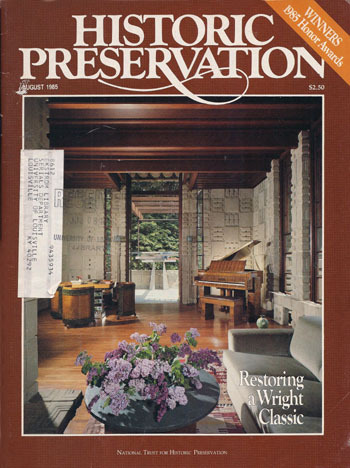 Using his �fireproof house for $5,000' published in The Ladies� Home Journal..." 7) "Wright Restoration. 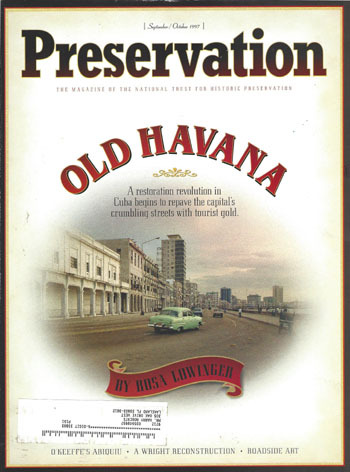 A preservation architect�s quest for authenticity and sustainability. The home was originally built in 1915 as one of five houses for Sherman M. Booth, Wright�s attorney, who commissioned the architect to design his own house as well as a housing development surrounding it, called Ravine Bluffs." Restoration of the William F. Ross Residence (1915 - S.191). Includes ten photographs. Original cover price $5.00. Description: "Not Fallingwater, but Falling Apart. An unusual house designed by Wright declines in obscurity (Lewis - S.359)... 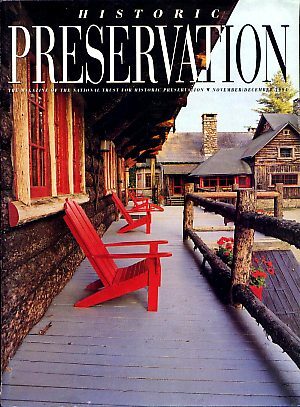 In recent years as the house slid into alarming disrepair � broken doors, inoperable windows, and a contagion of wood rot, water damage, warped siding, and crumbling stonework � various people have contacted Lewis and tried to provide the means to complete and restore the house...: Includes three photographs. 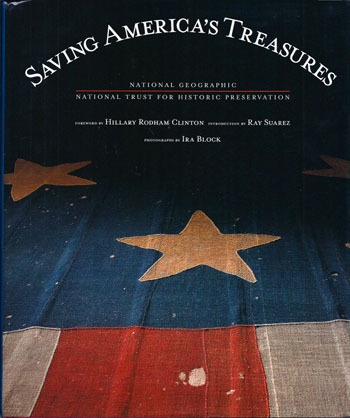 Title: Saving America�s Treasures, National Trust for Historic Preservation (Hard Cover - DJ) (Published by National Geographic, Washington, D.C.